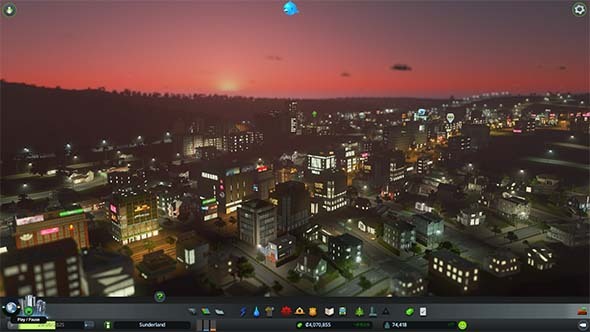 I described Cities: Skylines' first expansion, After Dark, as " just tak[ing] the Cities: Skylines canvas, and offer[ing] the player a few more colors to optionally paint with." 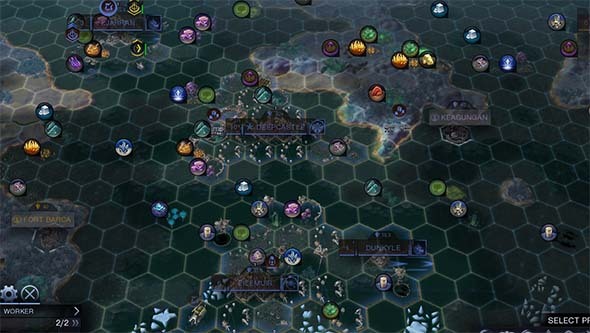 That expansion didn't really do much to change the way that the game is really played, but rather just focused on adding further specialization options for any city that you care to build. 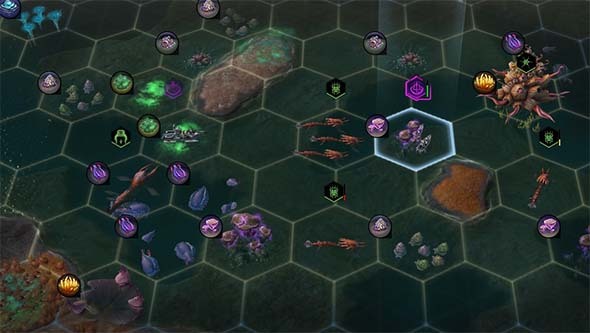 I wasn't too upset because the core game is still a phenomenal foundation to build upon, and the expansion just gave us more to play with within that same phenomenal foundation. Snowfall, however, is even more narrow in scope. It offers one new color to paint with, and that color is white. I got really excited when I loaded up Steam and saw the title of the new expansion. I had written a wishlist blog in which I specifically asked for the next expansion to offer seasonal weather changes and more recreational and transportation specializations suited to those different seasons. On the surface, Snowfall seemed to provide that. There's now a winter, and snow, and you can build a specialized winter wonderland. But that's the extent of what this expansion provides, and that's disappointing. Snowfall doesn't provide a full season system or any real changes to the game's core economic loop. 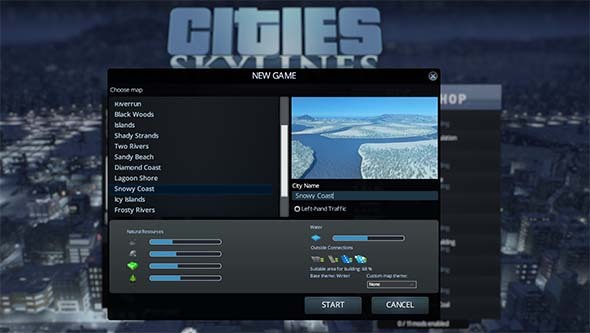 Instead, it has a few snowy, winter-themed maps in which you can build snow-themed cities. Those winter maps are always snowy, and the non-winter maps are never snowy (although they can see occasional rain and fog). Note: I'm going to get real tired of saying "non-winter maps", so henceforth, for the sake of simplicity, I will refer to them as "summer maps", even though summer isn't really a thing (yet). 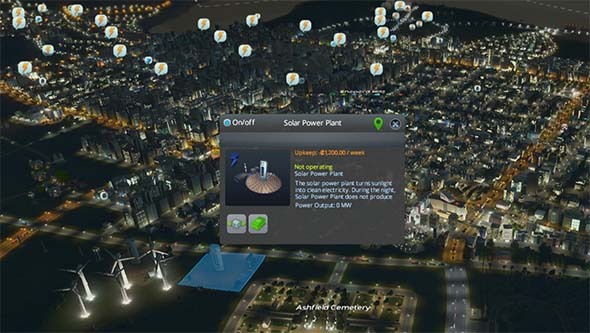 Your city doesn't progress from springing to summer to autumn to winter (or even just from summer to winter) and then back again, and you don't have to manage your economy so as to maximize profits during your tourist season and find a way to maintain employment and revenue during the off season. Depending on which map you select, it's either always winter, or it's always summer. 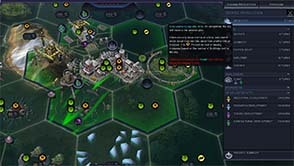 I complained about After Dark feeling like I had to go out of my way in order to use the expansions new features and specializations, but at least those features and specializations were available in all cities, and they could be applied to my existing cities from before the expansion. You have to go so far out of your way to use the Snowfall features that you have to start a whole new game on a specific subset of maps. It makes After Dark look like a broad game-changing expansion by comparison. Only maps designated as "winter" maps will have snowfall, and they aren't very different from existing maps. The actual functionality of some of these winter buildings is also questionable. 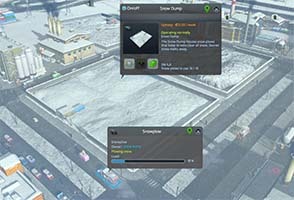 One of the first snow buildings that you'll unlock is the "snow dump", which is a landfill for snow. 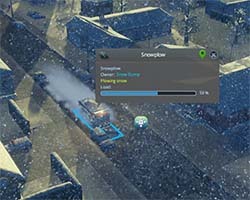 Snow plows in this game will drive around the city similar to garbage trucks, actually collecting the snow off the streets, and then taking them back to the snow dump building, which (according to its description) melts down the snow to make room for more snow. It seems like they just took the garbage truck functionality and copy-pasted it to apply to snow, only without the need for a separate incinerator building. Snow can slow traffic and must be plowed. The really weird thing is that there is also a new general road maintenance office that keeps the roads in good repair and traffic flowing smoothly. If you don't bother to build the road maintenance office, or build the snow dump or plow the snow, it will slow down your roads and eventually make them unusable. Why did these need to be two buildings? Why couldn't the road maintenance office also be the depot for snow plows? And then there's the ski buildings, which also don't seem to work in any way comparable to real life. The ski resort is an artificial ramp that you build on flat ground. Again, that's not really how ski resorts work. Typically, a ski resort would be built high up on a mountain, where there's a natural slope and a lot of snow. 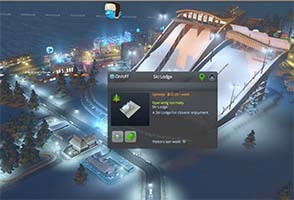 The game does include a separate ski lodge building, which you could build up in a mountain, but it wouldn't work all that well. It seems to me that the Ski Resort shouldn't be a ramp, it should just be the ski lift that you build on inclined terrain, and the Ski Lodge should be built nearby and should enhance the functionality of the resort. In fact, the new snow maps don't even include mountainous terrain on which to build a more realistic ski resort and lodge. So this all seems to be a result of the game's underlying framework not having very good support for building on slopes, and Colossal Order didn't bother to design a system to allow such niche buildings like a ski resort to be built on a slope. Look, I live in the desert of Las Vegas, where it was 80 degrees by mid-February, and air conditioning is not an "option" for a car. Maybe it's not my place to tell a development team in Finland how ski resorts and snow plowing are supposed to work, but I'm pretty sure that this isn't how ski resorts and snow plows work! Games have an awkward relationship with war. Most games embrace violence and conflict because they are very easily simulated by computers and mapped to a set of easy-to-understand mechanics. Computers aren't as good at understanding or reacting to speech or emotion as they are at allowing a character to move around in a space and at tracing the path of a bullet or artillery shell. So when a game is about war, it's almost always told from the perspective of a soldier, someone actively participating in the war. And that character's participation is usually presented as noble and honorable, with the people that you are shooting being given little - if any - humanization at all. In many cases, the games will go out of their way to de-humanize the player's opponents by presenting them as literal demons, aliens, or the so-easy-to-hate Nazis. 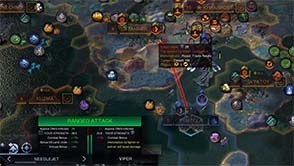 While there are plenty of examples of games that deal with the behind-the-scenes causes and effects of a war, or the politics of conflict, these elements very rarely appear as central gameplay elements (outside of grand strategy games like Civilization, Total War, or Europa Universalis). Usually, the player plays on the battlefield, and any politics or effects beyond the battlefield are just material for non-playable cutscenes. At best, you might end up with a game that puts the player in the middle of the battle, but which has civilian characters that play a large role in the story. One of my favorite games of the PS2-era is Ace Combat 4, which is a jet fighter combat game that found a comfortable middle-ground between flight sim and arcade shooter. Its narrative revolved around a child living in an occupied city, who befriends the ace fighter pilot of the occupying nation's air force. The player, however, takes on the role of a nameless, faceless ace fighter pilot belonging to the opposing liberation force. This created a fascinating dichotomy in which your success in missions resulted in defeats for the enemy ace who was the focus of the narrative. He falls into depression and alcoholism as the player systematically shoots down his wingmen and friends, and it served to humanize both sides of the conflict and exposed the human cost of war. One man's victory is the other's defeat. Your own victories became increasingly bittersweet as the game neared its final mission. It was a beautifully constructed scenario that has stuck with me to this day. I suspect that This War of Mine will leave a similar impact on me. The logistics of keeping your shelves stocked with food and medicine is the primary challenge. This War of Mine also reminds me of my visit to the Imperial War Museum in Manchester, U.K. this past January. I was really surprised by the difference in presentation that museum had as opposed to most museums that I visit in the United States. Whereas a museum in the U.S. will focus on exhibits of weapons, uniforms, vehicles, battle tactics, and politics behind wars, the IWM was focused primarily around the civilian costs of the two World Wars. It featured exhibits about food and material shortages, how women had to work as battlefield nurses and in factories, and how supplies were moved between cities under siege. It presented the wars as much more personal and ignoble and focused on how it affected people's day-to-day lives, and how the majority of people simply had to live through it. 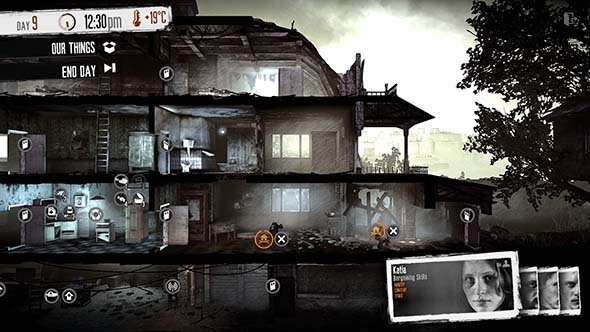 That's the same approach that the Polish studio behind This War of Mine took for their survival game. 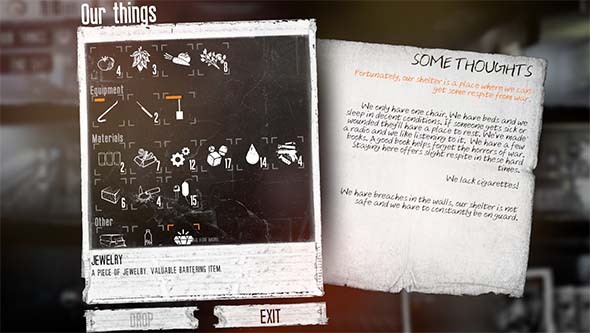 This War of Mine doesn't take place on the front lines or the battlefields. Instead of controlling a soldier, you play as a group of survivors in a rebellious city under siege. You have found a shelled building that you have claimed as a shelter, and every night, you must send one of your group out to scavenge one of various sites around the city for food, medicines, and other supplies to enable your group to [hopefully] survive till the end of the war. In the meantime, those who stay in the shelter must contend with the risk of being raided by other survivors during the night and having your hard-earned supplies stolen from under your own nose - or worse: somebody being hurt or killed. Your close-knit group of survivors must build and defend a shelter and scavenge for supplies. The result is a game loaded to the brim with choices and consequences. How do your survivors spend their daytime hours? What items do you attempt to craft from your middling inventory of supplies? How do you defend yourself from raids? Do you send your one gun out with your scavenger in case he runs into hostile bandits, or keep it at home to defend your shelter from raids? Who do you send out each night to scavenge? Where do they go? And what do they bring back with them? The "rogue-like" fashion of the gameplay means that there's no undoing and no retries. This, combined with the scarcity of resources, makes every choice, every action, and every death is permanent. This gives a great deal of weight to all those choices that the game gives you.